No one can think of the Star Wars movies without hearing John Williams’s music. 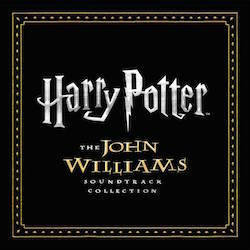 Williams’s score has even gone beyond the films to become part of the soundtrack to people’s lives. In February, Williams and the London Symphony Orchestra were back in EMI’s Abbey Road Studios to record the music for The Phantom Menace; Lucas was there to hear his new movie for the first time. Lucas says he loves music, and it’s clear he does. He remembers the music in the films he grew up with – Liszt’s Les Preludes introduced the old Flash Gordon serials, which were a primal source for Star Wars. He calls the trilogy his “space opera,” and there are many narrative and mythic parallels to Wagner’s Ring cycle. He writes his scripts while he’s listening to music; he listens to music when he’s filming; he edits to a dummy track of existing music that gives each sequence the emotional charge he’s looking for. It is easy to believe Daniels. In the first trilogy, Carrie Fisher’s Princess Leia was flat-voiced, as plain, prosaic, and practical as a can opener, but from the moment the flute begins to intone her theme, she becomes pure romantic enchantment. 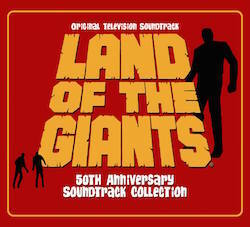 The success of the film, and of Williams’s music, helped restore the romantic symphonic movie score to popularity. The gadgetry in the film, and the technology that makes it possible, are futuristic, but the story is built on classic patterns – and, the scroll at the opening reminds us, that it takes place “long ago” in a galaxy far away. Now there is an even older story to be told in image and music. 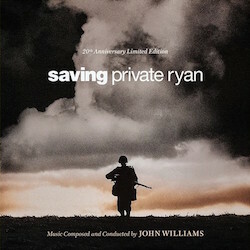 Most of the time, Williams meets with the directors of the films he’s going to score to “spot” the scenes that are going to need music; with Lucas, he knows, “we are going to play through everything.” There were 16 three-hour recording sessions to set down 900 pages of score, two full hours of music. The sessions were intense, exhausting, and utterly professional. As in every business, time means money, even though music represents only a modest proportion of the film’s $115 million budget. Despite the necessary tension and attention, everyone was casually dressed – Lucas in jeans and cowboy belt, Williams in his usual pairing of dark pants and dark turtleneck – and there was the feeling of a family reunion. 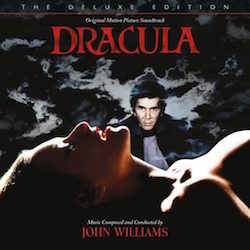 Williams was surrounded by some of his longtime associates, including sound producer Shawn Murphy and Kenneth Wannberg, who has worked as Williams’s editor since Valley of the Dolls in 1967. Some of the actors dropped by to listen for a while, including Ewan McGregor, who plays the young Obi-Wan Kenobi; Ian McDiarmid, who plays the evil Senator Palpatine; and Daniels, as neat as C-3PO, but not as fussy. McGregor, clean-cut and idealistic in the film, looks scruffy and unshaven in the studio, but that’s because of a stage role he is playing every night. One day he brings his young daughter to the sessions, and under his breath advises her that George Lucas’s jeans are not the best place to wipe fingers covered with melted “chockies.” Star Wars runs in the family: McGregor’s uncle, Denis Lawson, appeared as a fighter pilot named Wedge in the first trilogy. Spielberg has helped Lucas make these weeks a difficult time for their old friend, whom both filmmakers address as “Johnny.” Williams had completed his score to an earlier cut of the film. 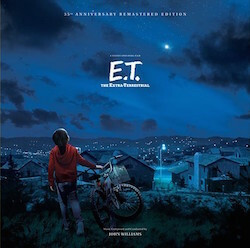 After consultation with Spielberg, though, Lucas had recently re-edited the sixth and final reel, the last 20 minutes of the film, which present simultaneous actions converging on the climax. This is not the place to reveal secrets about The Phantom Menace. The chases, duels, battles, and action scenes look exciting, and there are plenty of new gizmos, including a nifty double-edged light saber; there is comic relief from curious extraterrestrial creatures and humans alike; there are gorgeous images, cityscapes and planetscapes, and giant ships slice through space – the images directly reflect and expand upon the ones of the earlier films. There also seems to be a richer emotional texture: We are learning more about this story, who these people are, and how they got that way. In the surge of pre-opening publicity, some of the Phantom Menace secrets aren’t so secret anymore – in fact, they haven’t been secret for a while. Lucas has described the first trilogy, as the story of the redemption of Anakin Skywalker, a.k.a. Darth Vader. The three new films tell the story of how the golden child Anakin went over to the Dark Side. Lucas says he had to know the backstory in order to write the original trilogy, but admits with a sigh that it’s unlikely that he will get around to writing and filming the third trilogy he used to mention as a possible sequel. Asked why there was such a long delay between the two trilogies, Lucas says, “I wanted to do some other things with my life besides this. I wanted to raise my family.” (Lucas’s daughter Amanda, now 17, was adopted near the end of his marriage to Marcia Griffin; Lucas is also the single adoptive parent of Kate, 11, and Jet, 6.) Lucas had to wait for some of the necessary technology to be developed – by his own galaxy of companies, which were financed in part by the profits from the Star Wars trilogy. From the start, Lucas had a conception of the big story he wanted to tell. 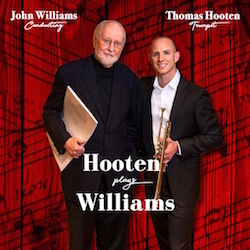 Williams, on the other hand, says that back in 1977 he had no idea that he was beginning the score for a trilogy – let alone a sextet. “I’m afraid I thought of it as a Saturday-afternoon movie,” he says. “A good one, though.” Richard Wagner wrote the text to his Ring cycle rather the way Lucas wrote the Star Wars films, working backward, but he did have the advantage of composing the operas in order, an advantage that Williams has lacked. The Phantom Menace contains many of the familiar Star Wars themes – it was a thrill to hear the most famous of them all appear in the trumpets again – but there are also new themes for new characters. The old themes and the new ones combine as they range across the spectrum of cinematic experience. There is scary music, exciting music, tenderhearted music, comic music, noble funeral music, and music of heroic resolve. As it happens, not many Phantom Menace secrets were revealed during close observation of four days of recording sessions. Scenes from the film were projected out of sequence and without dialogue; the color registration was off; and most of the special effects were not in the work print yet (and music editor Wannberg points out that there are 2,000 special effects in this film, which works out to an average of almost 17 special effects per minute). More often than not the images were incomplete, with a live actor appearing in front of what looked like an architectural drawing, or an old print by Piranesi. These drawings, or just plain squiggles, represented what computers and special-effects wizards will fill in. One of the new alien creatures in The Phantom Menace is called Jar Jar Binks, who looks like a friendly cross between a horse and a kangaroo; Jar Jar has eyes in the middle of his (or her) ears. (Lucas says he imagines his new species, then keeps on describing them to artists until they are able to draw what he has in mind; the process sounds a little like what police artists do in trying to create a suspect’s portrait.) 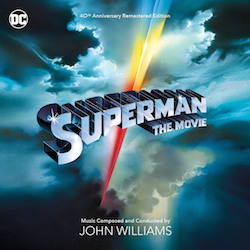 This may be a bit of subconscious tribute to Williams, whose superiority as a film composer lies not only in his musical ability but in his skill at reading an image and at sensing the rhythmic and emotional relationships images create in movement. Williams reads a piece of film and feels the music in it the way Schubert or Benjamin Britten heard music when they read poetry. 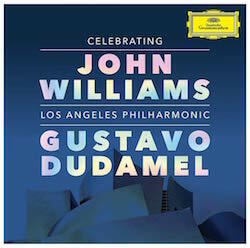 The condition of the work print may have been responsible for Williams’s one misjudgment – about 4 seconds in the first hour of music he recorded. And Williams is confident enough with Lucas to spring some surprises of his own. 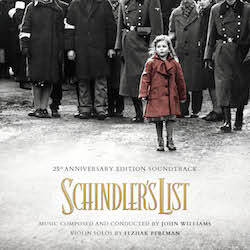 Unlike Spielberg, who enjoys coming into Williams’s studio at Amblin Productions in California to sit on the piano bench and listen to the music as it emerges, Lucas usually doesn’t hear Williams’s score until it’s being recorded. One day 88 professional singers from London Voices arrive to record two episodes with chorus. One is funeral music for one of the film’s emotional climaxes; the other is for the closing credits, a terrifying, primitive pagan rite that makes even Stravinsky’s Les Noces sound tame. Lucas loves this dark, driven music so much he shows off the recording for Spielberg when he arrives. Spielberg says to Williams, “I’m glad I didn’t drop around for a cigar on the day you wrote that.” Lucas says Williams doesn’t know it yet, but this music will accompany a crucial scene in the third new film. At the close of the day, Lucas, Spielberg, and Williams line up against the wall in front of a Star Wars poster for a television interview. “They call you Johnny,” the interviewer remarks. “You should have seen how young I was when they met me,” Williams responds. Whether anybody will hear that F-sharp or not in the final film isn’t a problem Williams lets himself worry about. Instead he concentrates on getting it right. The effect he is after may be subliminal and hidden behind dialogue, or the ricochet of light-sabers, but it is still there. Williams and the orchestra listen to the advice of the producer. Williams goes into the control room to listen to the takes, often accompanied by key members of the orchestra. Then they go out again and work until they get it the way they want it. And then they move on to the next cue. It’s an exhilarating and exhausting process.